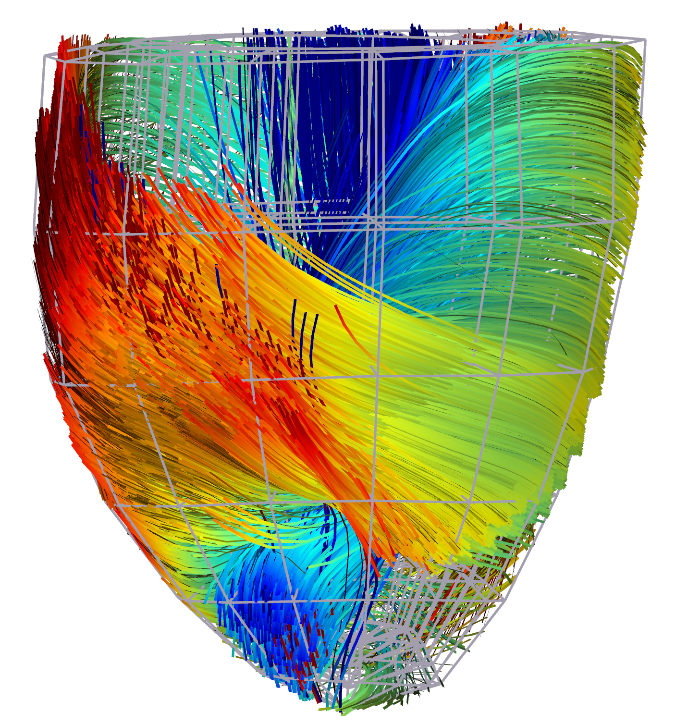 Xavier Pennec received an ERC advanced grant on geometric statistics for life sciences. Shuman Jia ranked 2nd in the AI Data Challenge organized by the French Society of Radiology. Shuman Jia earned 2nd prize at the Pierre Lafitte PhD competition. Fanny Orlhac was awarded for the L’Oréal-UNESCO grant for women in science 2018. Wen Wei received a travel award at the MICCAI conference. Wen Wei received a travel award from the SFRMBM (french society of magnetic resonance in biology and medicine) for the Joint Annual Meeting ISMRM-ESMRMB 2018. Nina Miolane received the second prize (special mention) for the AFRIF (french association for shape interpretation and recognition) PhD prize for her PhD entitled “Geometric Statistics for Computational Anatomy” realized in the context of the associated team GeomStats under the direction of Xavier Pennec (Inria Sophia Antipolis) and Susan Holmes (Stanford University). Nicholas Ayache was elected at the French Academy of Surgery as a free member (a category reserved to non-surgeons who brought significant contributions to the field). Xavier Pennec was elected Fellow of the MICCAI scientific Society for “pioneering theoretical contributions grounding the field of computational anatomy, shape statistics and medical image computing”. Sophie Giffard-Roisin won the best electrophysiology paper award at the Functionnal Imaging and Modelling of the Heart 2017 conference. Nina Miolane won the second prize of the competition “My thesis in 180 seconds” at the regional level, among 20 PhD students. Matthieu Lê receives the SGBM Research Award for his PhD Thesis. An interview in French is available here. Nicholas Ayache was named Chevalier de l’Ordre des Palmes Académiques (Order of Academic Palms), promotion of July 2017. Nina Miolane received a 2016 l’Oréal-UNESCO Fellowship for Women In Science. She is working on “Geometric Statistics for Computational Anatomy” at Inria Asclepios team under the supervision of Xavier Pennec, in the associated team GeomStats in collaboration with Susan Holmes at Stanford University. Shuman Jia received the Best Paper Award – Challenge paper in the 7th International Statistical Atlases and Computational Modeling of the Heart (STACOM) Workshop, held in Conjunction with MICCAI 2016 for her paper entitled “Left atrial wall segmentation and thickness measurement using region growing and marker-controlled geodesic active contour” Shuman Jia, Loic Cadour, Hubert Cochet and Maxime Sermesant. Bjorn Menze received the Young Scientist Publication Impact Award 2015 at MICCAI conference, for his article “A generative model for brain tumor segmentation in multi-modal images”, co-authored by Koen Van Leemput, Danial Lashkari, Marc-André Weber, Nicholas Ayache, and Polina Golland presented at MICCAI 2010 in Beijing, China. Thomas Benseghir received a Best Paper Award at the IPCAI conference, Barcelona, Spain, 2015 for his paper entitled “A tree-topology preserving pairing for 3D/2D registration” , authored by Thomas Benseghir, Grégoire Malandain and Régis Vaillant. Marco Lorenzi received an honorary mention at the 2015 Cor Baayen Award for his PhD prepared jointly within the Asclepios project team at Inria Sophia Antipolis and the IRCCS San Giovanni di Dio Fatebenefratelli (Italy), and for his post-doctoral research performed at University College in London (UCL). Congratulations! Matthieu Lê received a Young Scientist Award at the MICCAI conference, Munich, Germany, 2015 for his paper entitled “GPSSI: Gaussian Process for Sampling Segmentations of Images” , authored by Matthieu Lê, Jan Unkelbach, Nicholas Ayache, and Hervé Delingette. Nicholas Ayache received the “Grand Prix INRIA – Academie des sciences 2014” for his major contributions to Informatics and Computational Sciences at INRIA. The video presenting his research interests and the work of the team can be found here. Herve Lombaert was awarded the highly selective NSERC Postdoctoral Fellowship (Top funding agency in Canada). Only 130 outstanding postdoctoral students were awarded this year, from whom Herve was ranked 1st in computer science. Criteria are based in part on his recent PhD work as well as his proposed work on statistical learning. More information here. Nina Miolane and Bishesh Khanal won the first prize in the “Popular Vote Awards” at the MICCAI 2014 Educational Challenge for their video on “Statistics on Lie groups for Computational Anatomy“. Chloé Audigier received the Outstanding Paper Award for the below paper at the 6th International Workshop on Abdominal Imaging: Computational and Clinical Applications, held in conjunction with MICCAI 2014 on September 14, 2014, Cambridge, USA. Herve Lombaert was elected Étudiant-Chercheur Étoile by the Fonds de Recherche du Québec for his collaborative work on modeling the human cardiac fiber architecture, published in IEEE TMI with Jean-Marc Peyrat, Pierre Croisille, Stanislas Rapacchi, Laurent Fanton, Farida Cheriet, Patrick Clarysse, Isabelle Magnin, Herve Delingette, and Nicholas Ayache. Nicholas Ayache received MICCAI 2013 “MICCAI Enduring Impact Award” for his scientific contributions since the inception of the conference in 1998. This award was established four years ago and was previously assigned to Ron Kikinis (Harvard Medical School), Russ Taylor (Johns Hopkins), Chris Taylor (Manchester Univ.) And Jerry Prince (Johns Hopkins). Nicholas took the opportunity to thank the team and all his collaborators. Nicholas Ayache was elected Professor at the College de France on the annual Chair “Informatics and Computational Sciences” to teach in 2013-2014 a course on “The personalized Ditital Patient: Images, Medicine, Informatics”. More details here and here or in French ici et ici. Stéphanie Marchesseau received a Young Scientist Award at the MICCAI conference, Nice, france, 2012 for her paper entitled “Cardiac Mechanical Parameter Calibration based on the Unscented Transform”, authored by Stéphanie Marchesseau, Hervé Delingette, Maxime Sermesant, Kawal Rhode, Simon G. Duckett, C. Aldo Rinaldi, Reza Razavi, and Nicholas Ayache. Caroline Brun, collaborating with Xavier Pennec in Asclepios, received the “Young Scientist Publication Impact Award 2012”. MICCAI papers by a Young Scientist from the past 5 years were eligible for this award. It is given to a researcher whose work had an impact on the MICCAI field in terms of citations, secondary citations, subsequent publications, h-index. The article is “A Tensor-Based Morphometry Study of Genetic Influences on Brain Structure using a New Fluid Registration Method”, and authors are C. Brun, N. Lepore, X. Pennec, Y.-Y. Chou, K. McMahon, G.I. de Zubicaray, M. Meredith, M.J. Wright, A.D. Lee, M. Barysheva, A.W. Toga, P.M. Thompson. Hervé Lombaert received the best paper award at the MICCAI Workshop Medical Computer Vision (MCV’12) for the article « Groupwise Spectral Log-Demons Framework for Atlas Construction » authored by Hervé Lombaert, Leo Grady, Xavier Pennec, Jean-Marc Peyrat, Nicholas Ayache et Farida Cheriet. Marco Lorenzi received an Honorable mention (runner-up) for the Erbsmann Award at the IPMI conference, Irsee, Germany, 2011 for the paper Schilds Ladder for the parallel transport of deformations in time series of images co-authored by N. Ayache and X. Pennec. This prestigious prize awards the best oral presentations (and answer to unlimited questions) of first-time IPMI presenters. Christof Seiler received a Young Scientist Award at the MICCAI conference, Toronto, Canada, 2011 for the paper Geometry-Aware Multiscale Image Registration via OBB Tree-Based Polyaffine Log-Demons, that was a collaboration between University of Bern (Mauricio Reyes) and INRIA (Christof Seiler, Xavier Pennec). 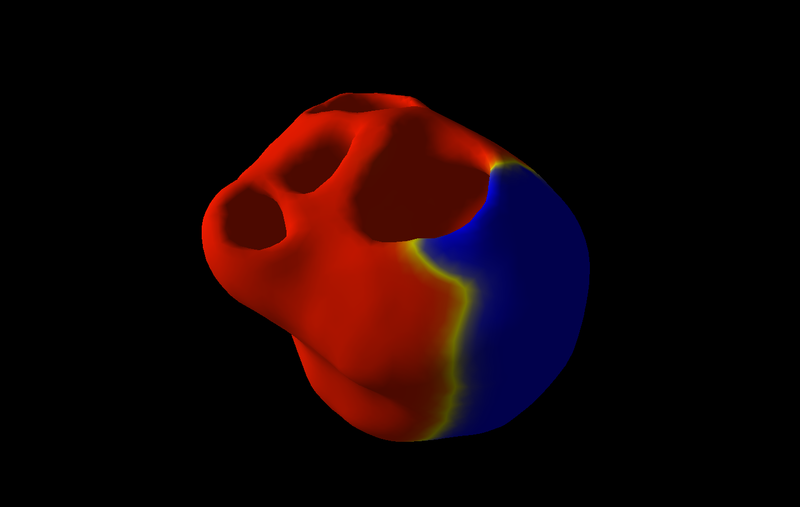 Kristin McLeod, and Adityo Prakosa won the Motion Tracking Challenge organized in the context of the MICCAI satellite workshop Statistical Atlases and Computational Models of the Heart: Imaging and Modelling Challenges. J.-M. Peyrat, P. Croisille, S. Rapacchi, L. Fanton, P. Clarysse, H. Delingette, N. Ayache. Stanley Durrleman received the 2nd (runner-up) Gilles Kahn prize 2010 for the best PhD in Computer Science awarded by the French Academy of Science and the SPECIF association. His PhD was co-advised by N. Ayache and X. Pennec at Asclepios in collaboration with A. Trouvé at CMLA, ENS Cachan. Marco Lorenzi received a best oral presentation award at the STIA Workshop, Beijing, 2010 for the paper 4D registration of serial brain MR’s images: a robust measure of changes applied to Alzheimer’s disease co-authored by N. Ayache, G. Frisoni and X. Pennec. Jonathan Boisvert received the 2009 France-Quebec PhD prize for his thesis. This $1500 prize is awarded to the best PhD thesis co-supervised between France and Quebec. His Phd was conducted through a collaboration between the Asclepios project-team, the University of Montreal, and the Sainte-Justine Hospital in Montreal. The topic was the construction from medical images of statistical and geometrical models of scoliosis in children. The PhD was supervised by N. Ayache and X. Pennec (Asclepios), and F. Cheriet (Univ. Montreal). Pierre Fillard was awarded a special mention for best PhD in Biomedical Engineering from the SFGBM-IEEE France Section, Lille, March 2009. The PhD was supervised by N. Ayache and X. Pennec. The book chapter Grid Analysis of Radiological Data, co-authored by C. Germain-Renaud, V. Breton, P. Clarysse, B. Delhay, Y. Gaudeau, T. Glatard, E. Jeannot, Y. Legre, J. Montagnat, J.-M. Moureaux, X. Pennec and R. Texier, recieved the IGI-Global Medical Information Science Discoveries-Research Book Chapter of 2009 Award. The European project Health-e-Child, in which Asclepios is actively involved, won the Grand Prize at the ICT 2008 Exhibit, Lyon (France). See full communication here. Nicholas Ayache is the winner of the 2008 Microsoft Award of the Royal Society and the French Academy of Sciences. Stanley Durrleman received the “Young Investigator Award 2008” in the category “Shape and Statistical Analysis” for his paper “Sparse Approximations of Currents for Statistics on Curves and Surfaces”, that was a collaboration between the CMLA at Cachan (A. Trouve) and INRIA (S. Durrleman, X. Pennec et N. Ayache). B. T. Thomas Yeo was nominated for a Young Researcher award for his article “Spherical Demons: Fast Surface Registration”, that was a collaborative research between MIT (B.T. Thomas Yeo, Mert Sabuncu, Bruce Fischl and Polina Golland) and INRIA (Tom Vercauteren and Nicholas Ayache). Damien Lepiller was nominated for a Young Researcher award for his article “Cardiac Electrophysiology Model Adjustment Using the Fusion of MR and Optical Imaging” that was a collaborative research between the Sunnybrook Health Sciences Center (Mihaela Pop and Graham Wright) and INRIA (Damien Lepiller, Maxime Sermesant, Herve Delingette and Nicholas Ayache). Nicholas Ayache received the “Significant Researcher Award”, for his contribution to the MICCAI conference and Society. Tommaso Mansi received the Best Poster Award at the 8th IEEE EMBS Summer School, Berder (France). Tommaso Mansi received a Special Award from the Societes Francaises Medico-Chirurgicales Pediatriques, Nantes congress, June 6. Olivier Clatz was awarded a special mention for best PhD in Biomedical Engineering from the SFGBM-IEEE France Section, Paris, May 28. Jean-Christophe Souplet received the Best Poster Award at the Journées de Neurologie de Langue Française, April, Bordeaux (France). Nicholas Ayache received the trophée du chercheur de l’année PACA 2007 awared by the Nouvel Economiste. He was elected a member of the College of Fellows of the American Institute for Medical and Biological Engineering (AIMBE). Olivier Clatz received the 2007 Prix Le Mondefor best PhD in Science. Vincent Arsigny received the 2nd (runner-up) Gilles Kahn prize 2007 for the best PhD in Computer Science awarded by the French Academy of Science and the SPECIF association. His PhD was co-advised by Nicholas Ayache and Xavier Pennec. Heike Hufnagel received the Best scientific work prize at Bildverarbeitung fur die Medizin 2007 for Point-Based Statistical Shape Models with Probabilistic Correspondences and Affine EM-ICP coauthored by X. Pennec, J. Ehrhardt, H Handels and N. Ayache. The action CardioSense3D was among the winners of the ARTS (Apple Research & Technology Support) awards, and received 30,000 Euros worth of Apple hardware, software and assistance. Nicholas Ayache received the EADS-Académie des Sciences grand prize in Information Sciences and Applications in December 2006. He joined in 2004 the Advisory Committee of the newly created Shun Hing Institute of Avanced Engineering in Hong-Kong (4 year term) and he also joined in 2004 the High Council for the promotion of science and technology between France and Israel. Tom Vercauteren has been awarded the Annual Medical Image Analysis (MedIA) best paper award 2006 for his article on Robust Mosaicing with Correction of Motion Distortions and Tissue Deformation for in vivo Fibered Microscopy published in Medical Image Analysis. The paper is co-written with Xavier Pennec, Grégoire Malandain, and Nicholas Ayache. Jonathan Boisvert received the Best Paper award during the AMDO 2006 conference (July 11-14, 2006, Spain) for his paper “Principal Spine Shape Deformation Modes Using Riemannian Geometry and Articulated Models”. The article is co-written with Xavier Pennec, Hubert Labelle, Farida Cheriet and Nicholas Ayache. Nicholas Ayache joined in 2004 the Advisory Committee of the newly created Shun Hing Institute of Avanced Engineering in Hong-Kong (4 year term); he also joined in 2004 the High Council for the promotion of science and technology between France. Medical Simulation symposium held in Boston (USA). of Diffeomorphisms for Locally Rigid or Affine Registration. 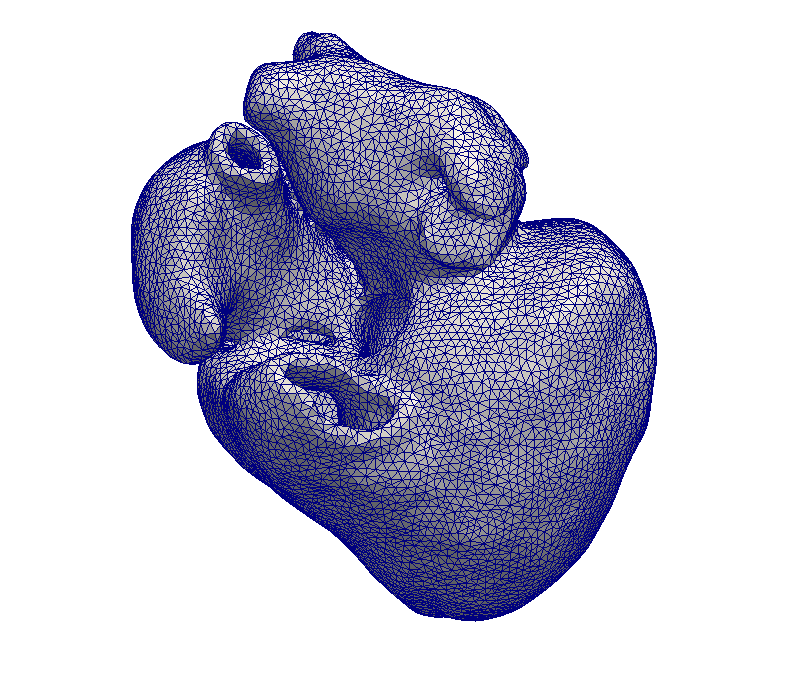 image segmentation and the simulation of cardiac pathologies” supervised by N. Ayache and H.
in computer science prepared in Provence-Alpes-Côte d’Azur Region.